Games are coming to Linux. It’s been a long time coming; we’ve had the days of impressive but ultimately uninspiring ports, but now there is a real possibility that Linux can take off as a gaming platform thanks to Valve’s SteamOS Gaming on Linux is Here: Install SteamOS Beta Today Gaming on Linux is Here: Install SteamOS Beta Today If you've become interested in gaming on Linux, using SteamOS as your Linux distribution of choice is a good idea. This guide covers every step and possible question you may have during installation. Read More and the Steam Machines range Steam Machines Are Finally Coming! Here's What You Need to Know Steam Machines Are Finally Coming! Here's What You Need to Know Read More . The fact that Steam itself now runs on Linux How to Install Steam and Start Gaming on Linux How to Install Steam and Start Gaming on Linux Installing Steam on Linux computers is straightforward, and the result is usually the same seamless gaming experience you had on Windows. Read More is encouragement enough. Whether you’re interested in migrating gaming to Linux (and plenty of top titles are available 5 Games That Prove Linux Is Now a Serious Gaming Platform 5 Games That Prove Linux Is Now a Serious Gaming Platform Big-budget games are coming to Linux, thanks to graphic driver improvements and the arrival of SteamOS. Here are five, top-tier games which undeniably demonstrate the potential of Linux as a platform for gaming. Read More ) or already have done, there is one thing that might have caused you a bit of a problem. Naturally, if you’re playing strategy games or just like the feel of the traditional keyboard-and-mouse combi for FPS and MMORPG titles, then using the keyboard and mouse should suit you fine. Unsurprisingly, you’ll find that pretty much all USB keyboard and mouse devices will work out of the box on Linux. For Bluetooth devices, things might be a little trickier. If you have a Bluetooth receiver on your computer or laptop, ensure it is enabled. If it is integrated, this shouldn’t be a problem, but for USB Bluetooth radios, open a Terminal and enter lsusb to check that the system knows it is there. As long as it starts, you should have no problems from this point, which is to pair the mouse or keyboard with your computer. 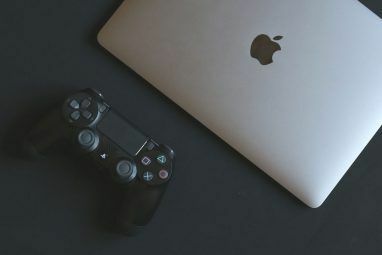 Most of the above can also be conducted from the Bluetooth icon on the panel, from where you can also make your Linux gaming computer discoverable; simultaneously, ensure that the input device is also discoverable. Moments later, they should be paired, and ready to use. For a more complete gaming experience, you may opt for a game controller. Various USB controllers are available that should be suitable for gaming on Linux. As long as the controller is talking xinput, you should have no problems. Naturally, the best way to check is to try a few USB game controllers on your Linux device. You may have varying degrees of success, or they may all work just as well. Note, of course, that you should reconfigure the controls to suit the game you’re playing. For the best results, however, using a device such as the wired Xbox 360 controller can really help your Linux gaming move up a gear. These are available relatively cheaply online or from computer game stores. The design of USB Xbox 360 controllers has inspired a whole load of clones and copycats, and these too should be ideal for gaming on your Linux system Connect Your Xbox 360 Controller To Your Linux Gaming Rig Connect Your Xbox 360 Controller To Your Linux Gaming Rig Linux gaming rigs? Yup, they’re happening. With Valve’s Steam on Linux and a forthcoming Valve Steambox using Steam to run Linux games, the future is looking up for gaming on Linux. You can even install... Read More . Once installed, this software will help you to set button mappings and startup scripts that launch games with particular settings applied. It also provides support for Xbox 360-style controllers from other manufacturers, and even PS3 controllers! Hey, My Joystick/Gamepad/Controller Won’t Work! Linux.org provides full details on using these tools. What about Bluetooth Game Controllers on Linux? There is a good chance that the best gaming experience can be achieved by sitting back on your sofa or chair, Linux computer connected to a big screen TV, console style. To do this, you’ll need a Bluetooth controller. Unlike the Xbox 360 USB controller, the Bluetooth variant cannot be used without the same Xbox 360 Wireless Gaming Receiver adapter that you would need if using a Bluetooth Xbox 360 controller with a Windows PC (you would also need to install xboxdrv). Once done, update, then get the package. Once done, you should be able to use your Bluetooth PS3 controller. Find out more about this at qtsixa.sourceforge.net. WiiCan provides functionality to edit the button mappings, always an important feature. We’ve spoken so far about controllers for the Xbox 360, PS3 and Wii. But what about the Xbox One and PS4 controllers? 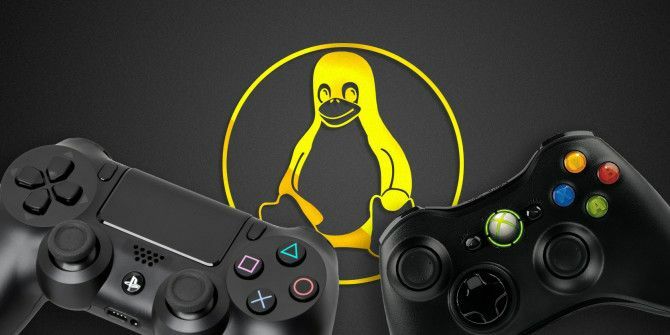 Xbox One owners will be astonished to find that they need to do very little to get their controllers running with Linux. As long as your OS has a kernel past 3.17, you can use the controller. SteamOS also supports the Xbox One controller. Bluetooth pairing will see the device connected. 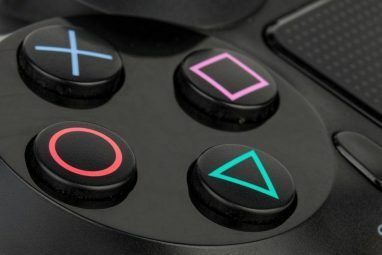 And as for the Sony DUALSHOCK 4 controller for PS4 consoles, again, all you need to do is pair your controller with your Linux or SteamOS PC for the devices to start talking and for your probably gaming success! So with all of that explained, which controllers are really best for Linux gaming? Often, less ergonomic devices tend to be useful for some games and not so ideal for others. It isn’t unusual to end up with multiple controllers in this case, particularly if you enjoy retro gaming in Linux. But it really all depends on how you like to play. The Xbox 360 and the PS3 Sixaxis controllers are both popular for good reason, but as long as you can find a working device that you’re physically comfortable using, then we suggest that you stick with it. Similarly, the Sony DUALSHOCK 4 and Xbox One controllers should be used where available. As for the Steam controllers… well, you can check them out now on Amazon, place an order and you’re good to go. Do you use a controller, gamepad or joystick for your Linux gaming? Have a favorite? Tell us in the comments. I have recently bought Xbox 360 controller and using it in linux mint. It works pretty good out of the box with the supporting games and the ones who dont support it like minetest for example i use Qjoypad its pretty straight forward and it works great. Just yesterday I did a quick test on my Linux Mint 17.2 x64 install using VVVVVV via Steam -- my wired Xbox 360 controller worked just fine with no tinkering. I'm surprised the temporary fix for Steam Controllers in Linux isn't posted. Although eventually I think the support for those in linux will be the best/easiest.